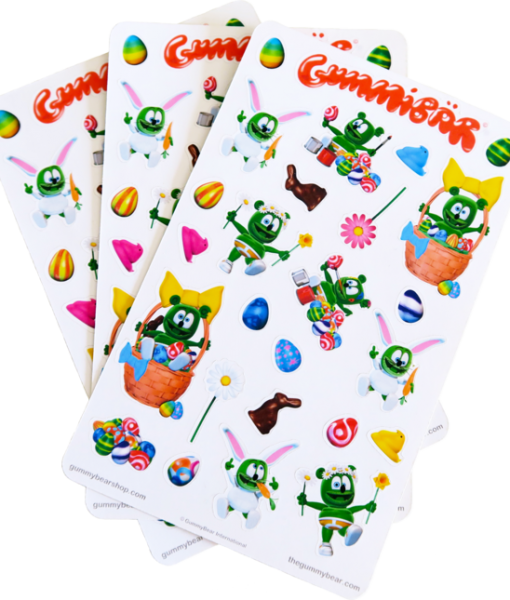 Gummibär Easter Sticker Sheets - Gummybear International Inc.
Gummibär Planner Sticker Sheets are now available in the Gummibär Shop. These stickers are great for parties, crafts, scrapbooking, journaling, decorating your planner, cards, notes, notebooks, etc. Includes 3 sheets of stickers with 20 stickers on each sheet for a total of 60 stickers. Stickers are approximately 1″ tall. Sticker sheets are 5.25″ x 3.25″.